Your skin care therapist will customize a facial treatment specifically for your skin needs. Whether it’s the dryness of winter or damage from the sun, we have a skin care treatment for you. Although Dermalogica has an expansive variety of professional products to treat the skin, every treatment is customized for every individual. Whether you have aging skin, acne, dry, sensitive, sun-damaged or a combination of a few indications through consultation and communicating your concerns with your skin therapist they will develop a treatment and home care recommendation just for you! This 30 min treatment is designed for quick effective treatments to target specific skin concerns such as extractions, dehydration, etc. Short on time but want a professional skin treatment? We will address your top skin concern by focusing on a key stages of treatment to get maximum results for your skin. 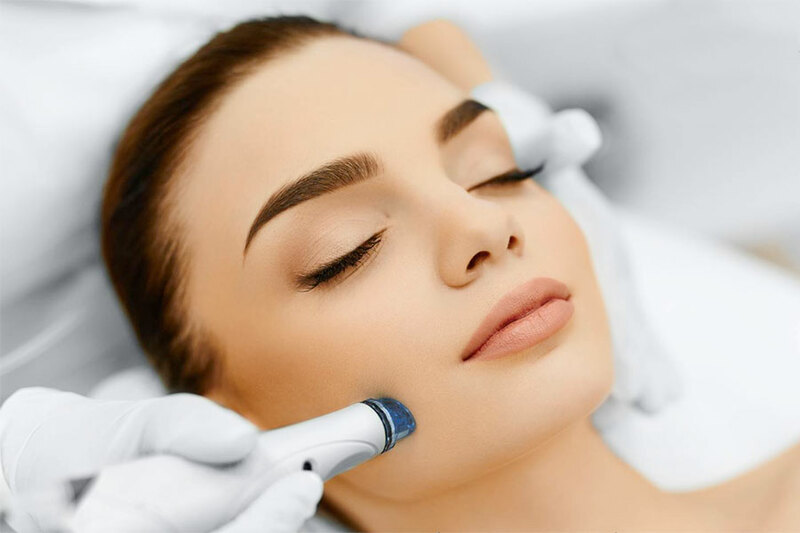 The Pro Skin 60 Treatment is 100% customized to your skin’s needs based on consultation and a thorough, zone-by-zone Face Mapping® skin analysis, making it one treatment that is different every time! The new Pro Skin 60 treatment is designed to produce maximum results on your skin. 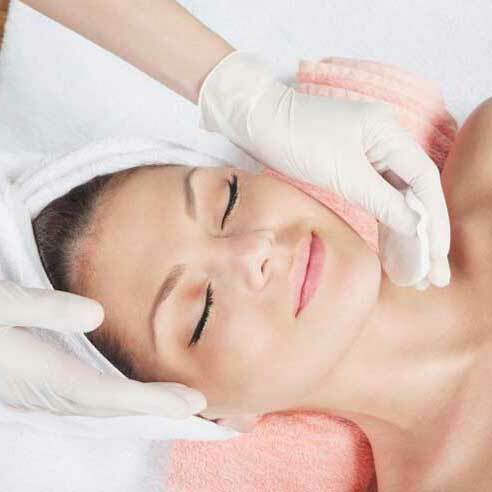 The 60 minute treatment includes targeted double cleansing, skin analysis, skin resurfacing, extractions (if needed), deep treatment using one of our serums or ion actives, relaxing massage and finishing with the Dermalogica method of dermal layering according to your skin’s individual needs. We will also use a modality such as BT Micro Ultrasonic or Galvanic or high frequency to enhance and maximize product penetration and results. A cooling mask that infuses serums and masks deeper into the skin. It is very firming and anti-aging while calming and cooling on the skin. Perfect for aging, sensitive or acne skin. Cleanse, exfoliate and masque with this hand facial to treat the signs of aging. Treat puffiness and dark circles with a gentle exfoliant, mini-lymph drainage massage and an ultra-calming/hydrating masque. Application on Enzymatic Sea Mud masque for a congested skin to purify and restore a healthy feel and glow. The ultimate pampering and warmth while penetrating moisture into the skin and soothing aches and pains. Learn more about Microdermabrasion below. 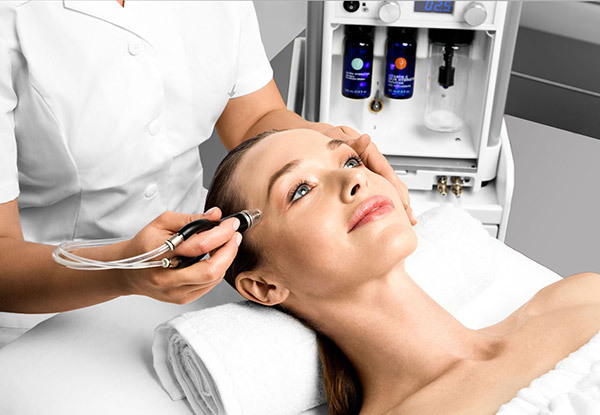 Galvanic facial treatment is based on the basic laws of electricity (repels & attracts). The microcurrent of (+ positive and – negative) ions pull together like a magnet allowing for deep penetration of beneficial ingredients into the skin. Its primary uses as a noninvasive means for therapeutic purposes of facial treatment. Galvanic is direct current, which causes chemical change in the tissues by reacting with the sodium chloride salts in the body. Galvanic currents help to focus cellular energy and enhance circulation. The – negative ions force all the dirt and debris held within your pores to the surface and at the same time, + positive ions gives you a fresh look and plumps the skin, banishing wrinkles. The Galvanic facial treatment is not painful, in fact it is a very comfortable procedure. You will feel a slight tingling, prickling sensation, may also experience metallic taste in the mouth. Galvanic ion create heat (you may not feel) in the body, which encourages the blood flow by increasing the metabolism, you’ll have a faster cell renewal. No down time is required for recovery, it is a treatment you can do over your lunch hour or break. The perfection lift is an advanced resurfacing treatment that uses a blend of hydroxy acids, retinol, stem cells and peptides for complexion perfection. Beta lift uses non blended Beta hydroxy acids to quickly and effectively treat and improve acne. 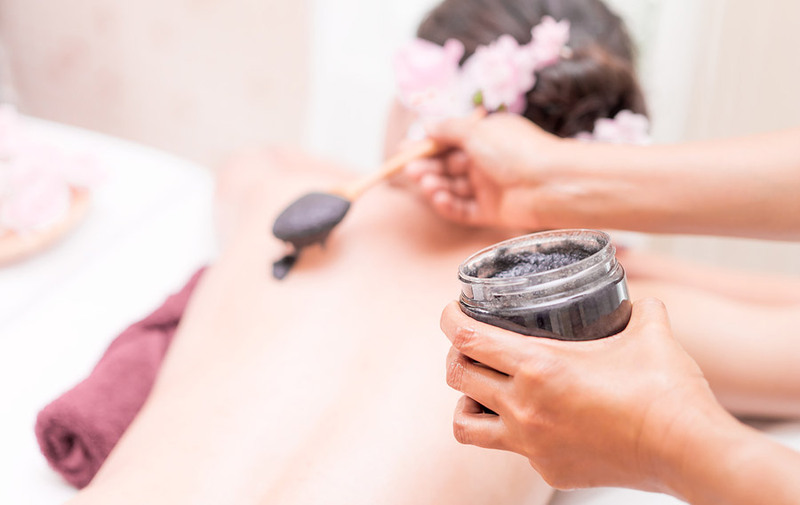 Through deep exfoliation, a purifying mud masque, and a light relaxing back and shoulder massage, you will be left feeling clean and refreshed. Jan Marini, founded in 1994, is a corrective skin line that delivers on results. Jan Marini offers a targeted peel system that stimulates skin healing helps to reduce the appearance of fine lines, wrinkles, pigmentation, and provides a smoother appearance to the skin’s texture. AbsoluPeel formulated to treat dull complexions, fine lines, hyperpigmentation & imperfections. Radiant skin with no downtime. 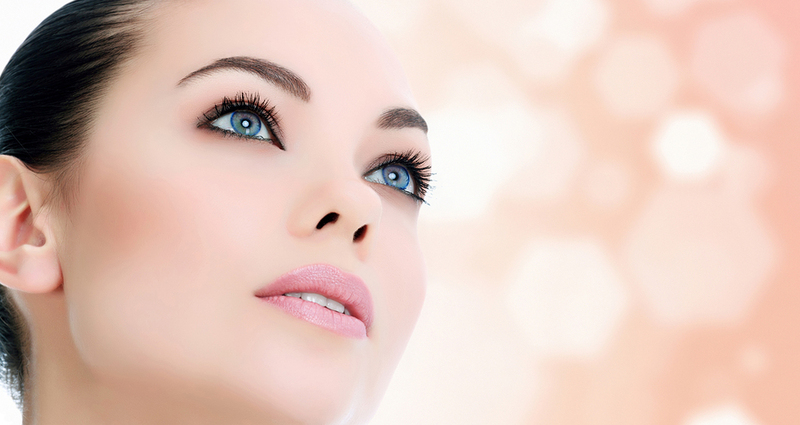 Microdermabrasion is a non-surgical procedure which gently resurfaces the skin. This exfoliation is performed with medical-grade corundum crystals which glide over the skin’s surface with a gentle vacuum. This action removes dead and damaged cells at the skin’s surface. By eliminating these surface cells, the skin is left soft and supple while stimulating the regeneration of new cells. Effectively minimizes the appearance of: Scars, pigmentation, fine lines, sun damaged skin, blemishes, dull/congested skin, uneven skin tones and enlarged pores. We are excited to introduce the new Dermalinfusion Silk Peel Skin Treatment! It plumps and hydrates the skin to provide a healthier and more youthful appearance with no downtime. People who have tried this Silk Peel are seeing amazing results!